This post was inspired by the video “7 Times Music in Games Blew Our Minds” from Outside Xtra. I’m a huge fan of their channel, so go check it out after reading this. Music has always been a huge part of video games for me. It has the responsibility to set and change the tone of every scene it’s presented in. Without music, a lot of the greatest moments in video games wouldn’t carry the same impact or gauge the emotions of the player. In many cases, the music is what the player will remember and associate with the experiences of playing that game long after they put it down. In this list, I want to reveal some of my favourite pieces that have stayed in my head, left me nostalgic and wanting to go back and play them straight away. This was much more difficult than I initially thought as there are so many examples that I could of included, but the list would have gone on forever. Enjoy, and bask in the relaxing, emotional and heart-racing melodies of these various video games. Choosing just one piece of music from the entire collection of one of my favourite franchises was extremely tough, however, ‘Zanarkand’ for me is so timeless and melancholy that it has always stood out for me. It’s the first thing that you hear at the beginning of the game, and what a first impression it is. The quiet subtlety of the opening notes, growing in volume and scale is brilliant, while being able to evoke sadness and excitement at the same time is testament to the composers skill. It is one of the pieces that I always remember most in the franchise and is part of my favourite entry in the series. Other honourable mentions are ‘The Promise’ from XIII, ‘Roses of May’ from IX, and ‘Battle With the Four Fiends’ from IV. An epic and incredible story filled with adventures spanning the globe needed an equally epic theme to accompany it. ‘Nate’s Theme’ is the perfect composition for the series and the main character Nathan Drake. The series and its cast of characters are legendary in the eyes of many gamers (including mine), so the music had a tough job to encapsulate the emotion, complexities and gravitas the narrative of this franchise deserved. It’s incredibly uplifting and fills me with so much longing to play the series again. Each entry in the series adds slight changes, with the fourth game adding a more sad tone that adds even more depth and meaning in relation to the story of that game. It’s an iconic theme that fits an iconic franchise. Another franchise that was difficult for me to choose just one, but ‘Gerudo Valley’ is just such a catchy tune and so memorable that I had to include it on this list. OoT for me has always had the best music in the series, with the likes of ‘Lost Woods’ and ‘Song of Storms’ as other fan favourites. ‘Gerudo Valley’ was able to capture the exotic setting so well, with the guitar providing a pleasant departure from the typical orchestrated pieces throughout the series. I remember just standing still in the Gerudo Valley area so that I could simply listen to the music. Pokémon Red was one of the very first video games I ever played when I was a child, and every time I hear this song it brings me back to much simpler times, when all I had to worry about was how I was gonna be able to afford batteries to power my Gameboy. The Pallet Town theme is the perfect music for the opening, its melodies resemble homely themes and feelings. The simple, serene nature of the tune captures everything about what home is and what it should make us feel, safe and relaxed. While I could have put the original version in this list, for me, Drakengard 2’s version was more emotional and its appearance in the game was more poignant. It’s a strange piece, giving of a sense of sadness and at the same time, hope. In one ending of the game, you are required to fight the dragon (Legna) that raised you and protected you throughout the story, until his plan was revealed. Growing up, surpassing his father-figure and killing him is truly sad, despite Legna’s true intentions. It was ending that always stuck with me and this song playing in the background only helped in making the section all the more emotional. The first appearance of this theme in the series is arguably the best. While Oblivion made changes and was still good, Skyrim even more so, its’ initial vision had gone and I found Skyrim’s version a bit annoying, although I understand it was to fit the setting. The original version was able to stay calm while still providing a clear sense of scale and wonder for what the game would be. It’s a beautifully written piece that doesn’t need loud sounds and chanting to be an epic piece of music and set the tone for the entire game. What’s impressive about the soundtrack for Undertale is that the person that composed it not only did that, but created the game as well. Anybody that has played this game will know that that music is incredible and too catchy for its own good. ‘Heartache’ is one of the first pieces of music that you will hear early on and helps make the player know that this game is gonna have a memorable soundtrack. I won’t spoil the context of this songs’ appearance as the game is still fairly recent, however, its title suggests that something upsetting happens at this time. It is a song that that evokes regret in the player while also giving them ‘determination’ to push through the challenges that they will face. I love the Mass Effect games. They have an incredible story, memorable cast of characters and beautiful music. An ending to the series needs music that will help in making the final scenes more impactful. While there are well known and clear issues with the ending in the final game, the music does help somewhat in balancing out those problems. Despite games flaws, the accompanying music still makes the ending emotional and impactful, alternating between quiet sombre moments to loud and heart-racing crescendo’s. It’s a beautiful and well executed piece that proves great music can improve and elevate any scene. Thanks for taking the time to read this, it means a lot. There are so many pieces of music from video games that I absolutely love, that I just forgot or did not have room for. I would love to hear what video game music you like or had a particular impact on you, let me know in the comments. If you have any suggestions on what content you’d like to see, also tell me in the comments. 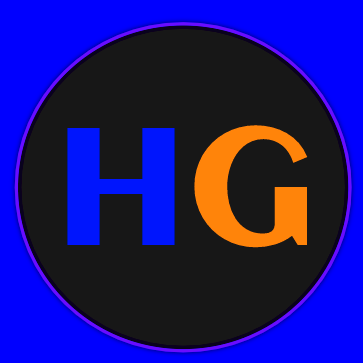 For all things gaming, stay tuned to honestgamer.